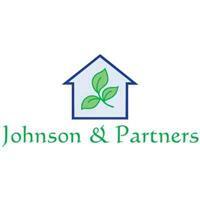 Johnson and Partners - Home Improvements, Painter/Decorator based in Addlestone, Surrey. Invoice history based on 159 reviews. Thank you for visiting our web page. Johnson and Partners is a family run business that has been established for over 26 years. As a family business we believe in quality of workmanship, value for money and very importantly to us, customer care. All of our work is fully guaranteed and we are proud to be members of Checkatrade and surrey trading standards. From the moment we receive your enquiry we will help you to exceed all the expectations you have for your property. Services we offer - Painting and Decorating, Wallpaper, Coving, Skirting and Architrave, Ceramic Tiling, Wooden floor fitting, Floor tiling. We also offer a full design consultation service, we can advise on everything you need to help complete your dream. We cover a wide area mainly operating within 20 miles of KT postcodes.